Dr. Robert E. Danz is now offering the Laser Assisted New Attachment Procedure for the treatment of gum disease to patients in Hudson, NY. Periodontal disease treatment is critical to one's overall health. With the advanced laser surgery LANAP treatment, Dr. Danz is able to treat patients with minimal pain or discomfort. Dr. Robert Danz Now Offers Laser Gum Surgery In His Dental Office. 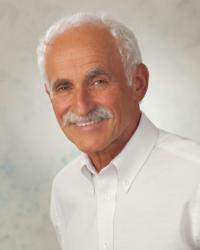 Robert E. Danz, DDS, utilizes several procedures to promote the dental health of his patients. With the introduction of the Laser Assisted New Attachment Procedure for periodontal disease treatment, more patients can be treated for gum or periodontal disease. LANAP is only available from one percent of dental professionals, and Dr. Danz has now added this procedure to his arsenal of weapons to fight against gum disease. The LANAP procedure begins with the dentist probing the gaps, or dental pockets, between the gums and teeth so that their depth can be determined. The FDA cleared PerioLase MVP-7 laser is programmed to eliminate the disease-causing bacteria and also disintegrate the gum tissue that has become diseased. Once the pockets are measured, the laser can be used to eliminate the bacteria there. At the same time, the tissue that was not affected by the disease is left untouched. Up to 90 percent of the inflammation can be removed in one visit. The calculus or tartar that has accumulated on the teeth in the pocket areas is removed with ultrasonic scalers and then the PerioLase MVP-7 is again used to stimulate clotting of the remaining tissue so that it will attach to the teeth. This eliminates the need for sutures, stitches used to hold the new and remaining tissue together. Most people who have undergone this treatment have been able to go back to work and normal activities later that same day or the next day. Gum or periodontal disease can lead to receding gums and even lost teeth, but it affects more than just the mouth. More and more studies are showing the connection between dental health and overall health. People who have advanced gum disease are more prone to other serious health problems such as diabetes and pancreatic cancer. By providing the technologically advanced LANAP periodontal disease treatment, Dr. Danz is helping patients improve their overall health and decrease their risk for more serious illnesses. More information about the LANAP treatment and gum disease can be found by visiting http://www.hudson-dental.com. Robert E. Danz, DDS, is a general practice offering patients personalized dental care for Hudson, NY. Not only does Dr. Danz run his own practice, he is also involved in his community. Dr. Danz received his dental degree from the New York University College of Dentistry, after earning his bachelor’s degree from Long Island University. He has also taken numerous postgraduate education courses, specifically selecting courses focusing on cosmetic and restorative dentistry. Dr. Danz is part of one percent of dental professionals providing the most recent FDA cleared laser procedure for gum disease and periodontal treatment. To learn more about Robert E. Danz, DDS and their dental services visit their website at http://www.hudson-dental.com and call (518) 444-4215.